When I was an adolescent growing up in a small Kansas town, I sometimes dreamt of becoming a nun--even though I was not Catholic. My cousin, Virginia, had given her life to God and went off to a convent. It all seemed so dramatic and selfless, and I admired her courage and commitment to a life of prayer and spiritual discipline. I have always been intrigued with the women who left their homes, families, friends and all their personal belongings and took vows of poverty and chastity. And I've also been curious about what life is like behind those sacred walls. When I discovered Beryl Singleton Bissell's memoir, The Scent of God, I devoured it, savored it, dog-eared the pages and filled it with yellow highlighting. I only do that with books that speak to my heart and soul; I know that I will return to those pages again and again. 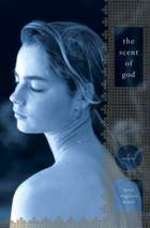 The Scent of God takes the reader behind the walls of a convent and into the heart and mind of a young woman who wanted more than anything to be "good", to please God and to be loved. While perfectionism and a compulsive need to be in control of her mind and body led to anorexia, controlling her heart would prove to be more difficult. This is a story about choices, commitments, faith and love. It is about the choice that Beryl had to make between her calling and an Italian priest who won her heart. Beryl's memoir is beautifully written, weaving in the rituals of everyday life in the convent with the emotional and spiritual evolution of a young woman who comes to trust herself as well as God. In my blog tomorrow, I will feature an interview with Beryl. She was kind enough to take time from her busy schedule of promoting the new paperback edition of The Scent of God. I've always been fascinated by convent life too. Monastary life in general appealed to me in many ways, and it still does. I see the draw. The pull. The attraction to it. Funny, since I'm not Christian. There's something deeper about it that appeals to me. Such a great review Carla. And what a fantastic site you have here. It looks so good. I've been blogging on livedigital which doesn't yet offer the option of posting links to others' sites or books.